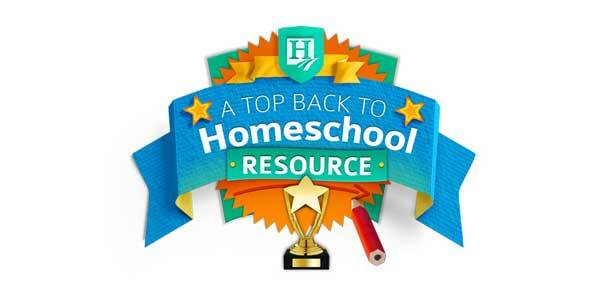 Helping individuals learn to read faster and comprehend more. The techniques you learn will help you be a more efficient reader both on and off the computer. You will learn to read more in less time. What is AceReader Personal Edition? 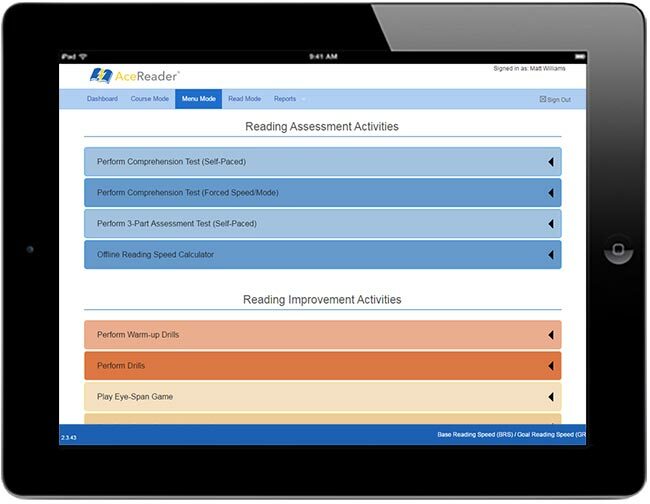 The AceReader Personal Edition is a powerful web application designed to assess, improve and monitor reading speed, fluency and comprehension. AceReader is not a "how to read" program, but rather a "how to read better" program. 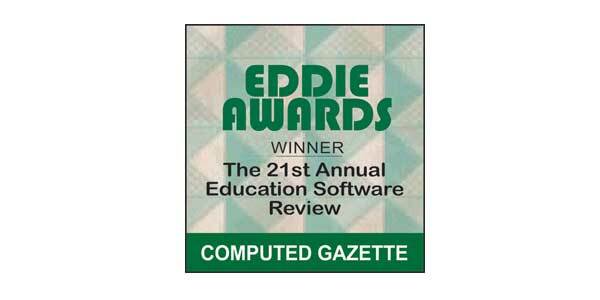 This version of AceReader is based on the Education Edition used by schools. The Personal Edition will give you the opportunity to train with the same features offered to schools without the administrative functions required by teachers. 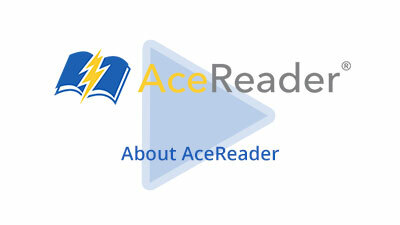 Create your own AceReader Personal Edition account today, for only $39/year. 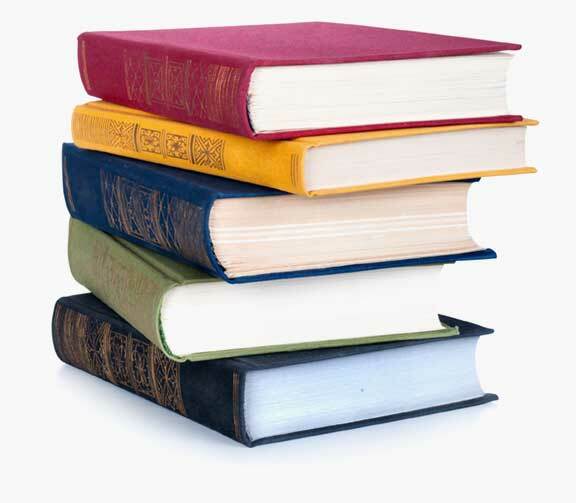 Once you learn how to read more efficiently, your reading will be more fluent, and you will enjoy the process more. Reading better leads to better test scores, better grades, better careers and higher earnings. You will learn to minimize subvocalization (pronouncing each word in your mind as you read) and regression (re-reading), two processes that lead to inefficient reading. AceReader has helped me tremendously in reading faster and remembering what I read. A product made well and sold with integrity. 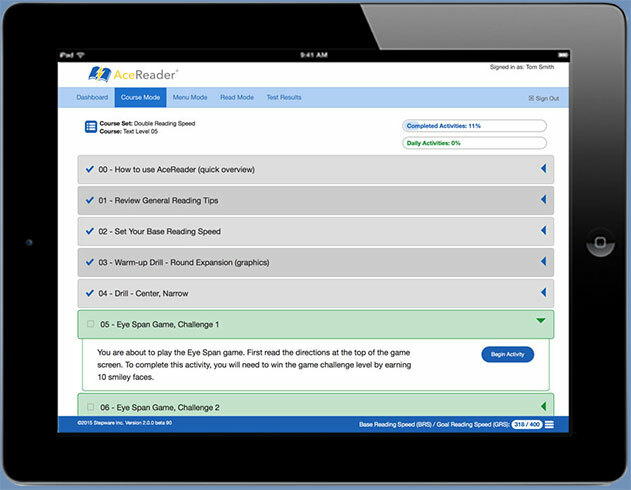 AceReader is not only a tool that helps one become a better reader, but it's a learning tool as well. It uses a combination of physical and physiological methods, backed up by empirical evidence regarding its practical utility, and it works. I can attest to it. 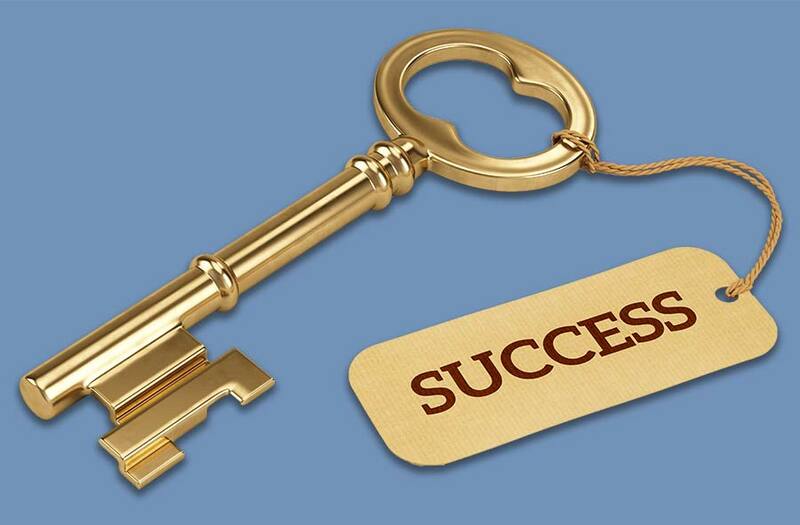 It just requires forming a habit to invest 20 minutes to a half hour on it daily. You just do it. I highly recommend it from the viewpoint of an academic and an applied psychology practitioner. Dr. Evan Stark PhD, Ballston Spa, NY, USA. 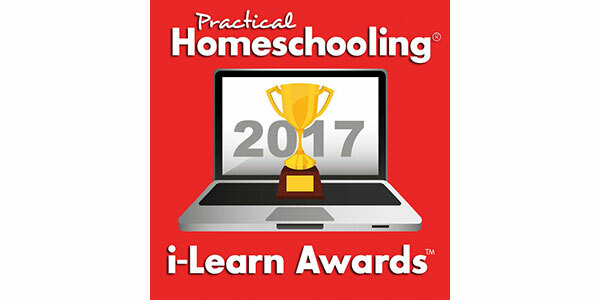 You will participate in reading activities consisting of timed reading comprehension tests, eye pacing drills and a variety of eye exercise games. 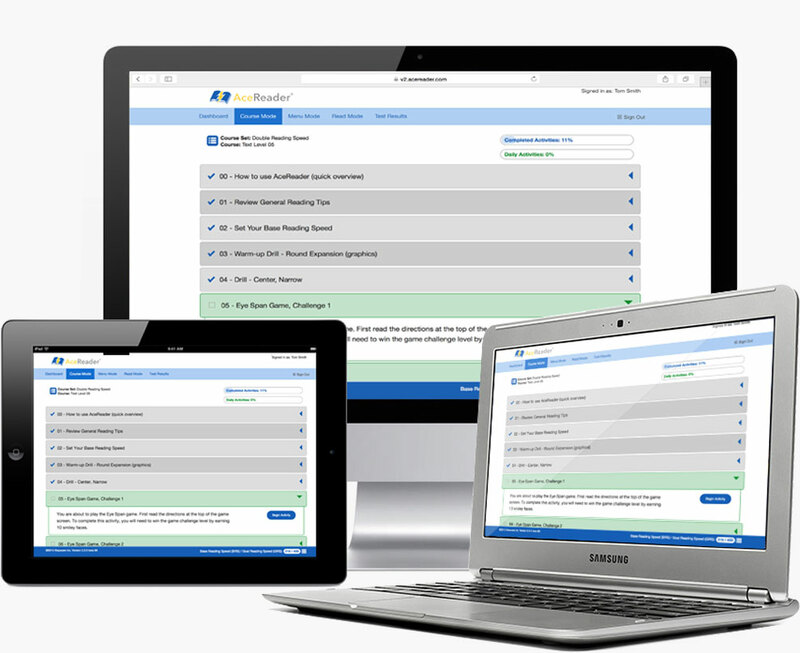 Our automated self-adjusting courses make the program very simple to use. Typically, you will use the program for 15 minutes two to three times per week. 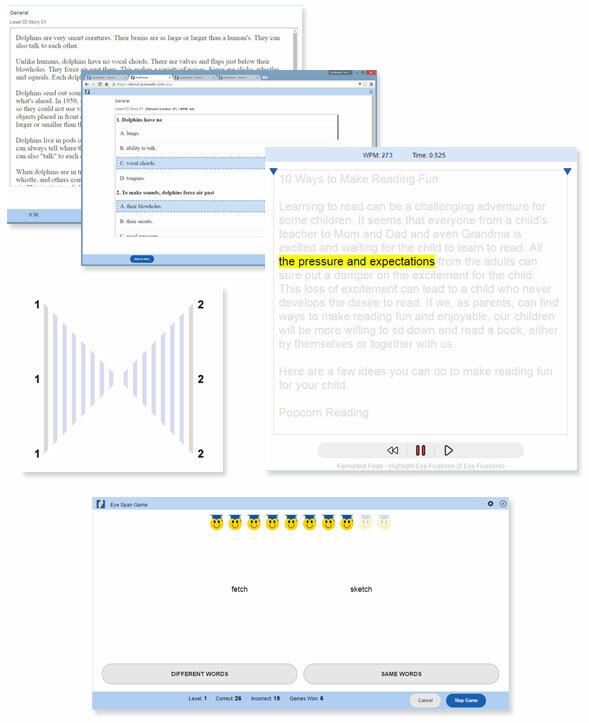 AceReader comes with 1000+ themed and leveled reading comprehension tests. You will read interesting educational material and learn new vocabulary as you improve your reading speed, comprehension and fluency. We understand that it's not just about reading speed, but instead, it's about having good comprehension while improving your speed and fluency. This is why all our training activities tie into how well you perform on the timed and leveled reading comprehension tests. Any device, anytime from anywhere, as long as you have an internet connection. No software or app to install since it runs in your web browser. You can use AceReader on your PC or Mac one day and pick up where you left off the next day on your iPad or Android tablet. 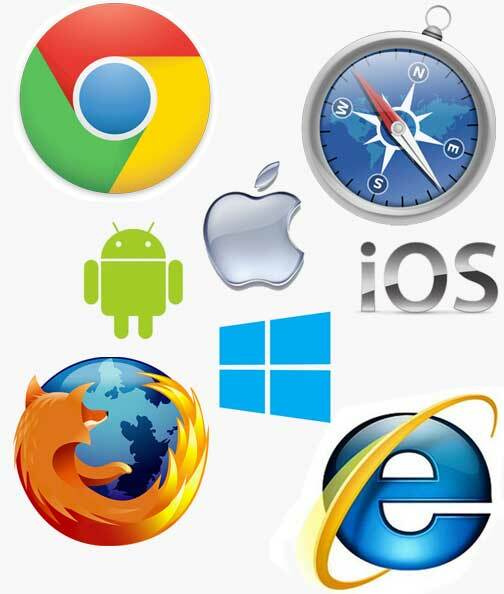 AceReader supports: PC’s, Mac’s, iPads, Android tablets, Amazon Kindle Fire (OS 5) tables, and a growing variety of mobile devices. Includes the most advanced eReader available. You can train with material you need to read anyway (i.e. 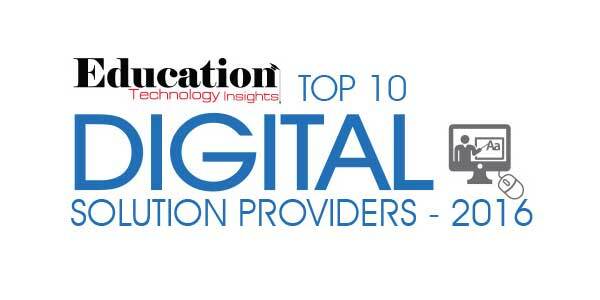 eBooks, PDF documents, or copy-paste text). You can also use the eReader to read more efficiently while online using special display modes (i.e. 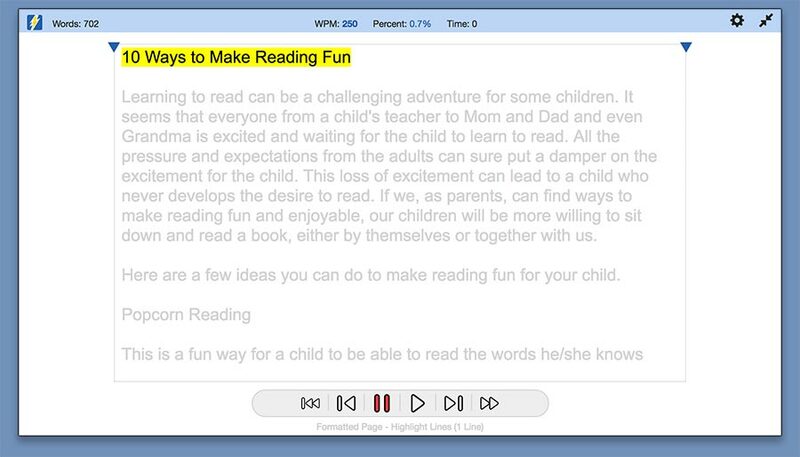 display words in a manner that allow you to read without eye movement). 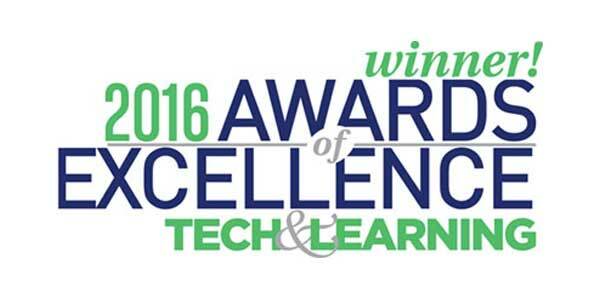 We have been working with industry professionals, educators and reading specialists for years to perfect this product, but your voice matters. If you have a question or problem, let us know. And, if within 30 days of using AceReader you do not feel 100% satisfied with your purchase, please contact us for a full refund. Get the Personal Edition, based on the same product chosen by hundreds of schools, to improve your reading skills. For $39 per year, you can start your account today.